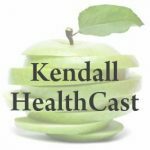 Welcome to Kendall HealthCast! This podcast series features discussions on wellness tips to global health topics. Each episode is hosted by the Kendall County Health Department staff. Arissa Wallis, Emergency Response Specialist for Kendall County, joins us to talk about Personal Emergency Preparedness. It only takes three simple steps to become more prepared on your own – Make a plan, create a kit of supplies, and stay informed. Anyone can do it, and we all should! blood pressure, heart disease, stroke, and other health problems. We can take steps to lower our sodium intake and support the reduction of the high levels of sodium in the food supply.